I created this style on a whim. I luv when when this happens because these are usually the dopest styles compared to the ones you planned out (and come out a H.A.M, right?). 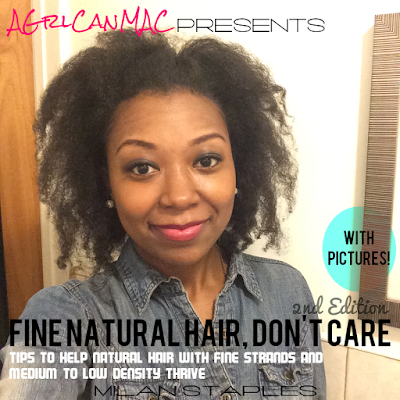 I did this on hair that was moisturized (with my Shea Moisture Conditioning Milk, of course. Luv that stuff for my hair!) and stretched via a braid out. (You'll see, if you haven't caught on already, that this is the main way I stretch my hair.) You could do this on a twist out, curly fro or bantu knot out too. I used an EZ Comb to pull back the front for a half up, half down look. My bangs are still short some, so I just used a bobby pin to pin down the straggling pieces in the front. Viola! I found this knock off EZ Comb at one of my local beauty supply stores for 99 cents. I have two of the "official" ones that I got from Walgreens in a 2 pack for $10, before I knew they were selling knock offs at the BSS. Lmao. If you want high quality ones that come in a varitey of sizes, then check out HairZings. I know some of you are edges/baby hair freaks. I am not. Lol. So use a lil gel, if that's your thing, to get your sides sleeker. I wasn't going anywhere special but if I wanted to rock this for a dressier occassion maybe then I slick the sides some with AfroVeda PUR Whipped Hair Gelly. So there ya have it: two simple and chic styles that are oh so easy to create. Either look can be worn with a professional work, formal or casual look. It took me no more than 10 minutes to create these styles. BONUS: Here's a sneak peak of a new style I'm working on for the shop. 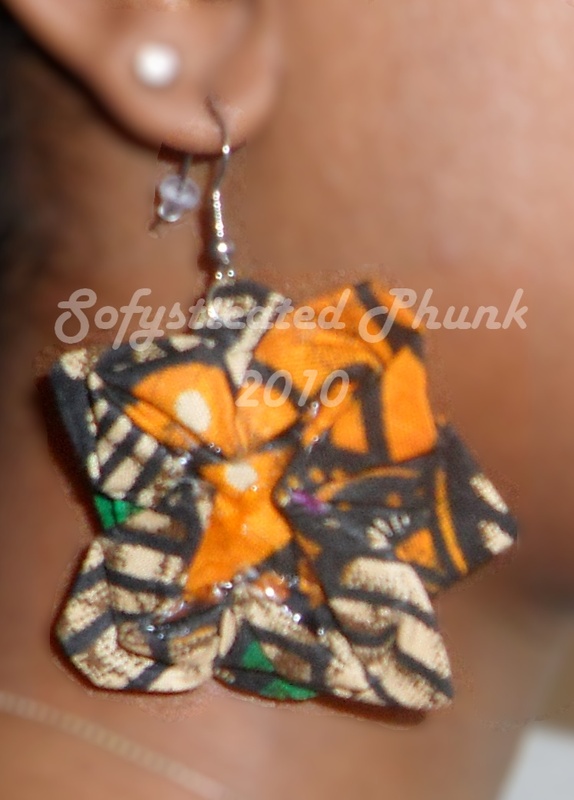 This style is called "Origami Fabric Earrings". Be on the look out for styles like these sometime next month. Next up: The Makeup Show highlights. Yes, I made it there this year! great style for the Summer! I'm taking a cue, I was SO hot yesterday didn't know what to do with the mass of hair on my head. Pulled back options are always good!! I may try that style tonight for when I go bowling. love the hair, LOVE the earrings! So cute and/or professional! Take your pick. I ordered hair zings online and then I also found them being sold at Walgreens. I'll have to check out my BSS but I have been rocking these things non-stop to work in order to tuck in my ends on loose hair and get of the house quickly. It works like a charm. Youve given me some great ideas, I bought one and cant figure out how to use it to save my toes lol. I love this style! I am going to check my local BSS and WalGreen's this weekend! When u stretch ur hair with braid outs, do u do cornrows or single braids (plaits)? Skeeta, I do plaits. I'm not the best cornrower. Lol. I hunted and hunted for this post and now the pics are gone! :( Waaah! But I'm glad I'm not crazy because I knew someone had styled their natural hair with these combs!